Turkey time: Hollywood's favorite stuffing doesn't come with turkey. It's the boxoffice stuffing that comes from moviegoing over the long Thanksgiving weekend. The extended five day holiday period from Wednesday through Sunday is now a time to overeat turkey with all the trimmings, run out to shop-till-you-drop Thanksgiving Day and again on Black Friday and also catch one or more movies with family or friends. The moviegoing part of celebrating Thanksgiving has grown tremendously over the past few decades so that it's now one of Hollywood's biggest grossing holiday weekends. As turkey time's become synonymous with moviegoing, Hollywood's carved out this holiday as the perfect time to release high profile films with big boxoffice potential. Looking back over the years, it's clear that Thanksgiving grosses have soared. In 1990, for instance, "Home Alone," the number one film for Thanksgiving, took in $28.7 million for five days, which was big money back then. In 1995, the top film was "Toy Story" with $39.1 million for five days. By Thanksgiving 2000, Hollywood was seeing much bigger numbers. The chart topper was "Dr. Seuss' How the Grinch Stole Christmas" with $73.5 million for five days. The dollars escalated by 2005 with "Harry Potter and the Goblet of Fire" grossing $81.3 million for five days. In 2010, "Harry Potter and the Deathly Hallows – Part 1" finished first with $75 million for five days. 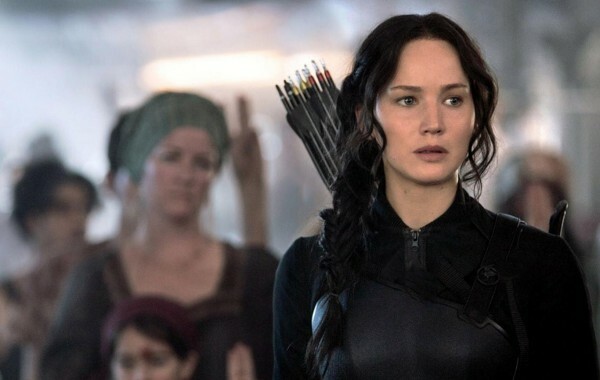 Last Thanksgiving saw ticket sales really go through the roof as "The Hunger Games: Catching Fire" grossed $109.9 million for five days in its second weekend of release. Meanwhile, the holiday's second ranking film, "Frozen," skated off in its second weekend with $93.6 million for five days. This time around we could see even more spectacular numbers from a triple boxoffice punch by Lionsgate and Color Force's second weekend of the PG-13 sci-fi adventure "The Hunger Games: Mockingjay -- Part 1," Warner Bros. and New Line Cinema's opening of the R rated comedy"Horrible Bosses 2"
and DreamWorks Animation and 20th Century Fox's launch of the PG rated 3D animated adventure comedy"Penguins of Madagascar." With "M1" having arrived last weekend with the year's biggest opening, $123 million domestically (and $275 million worldwide), there's no question it will be a powerhouse in the Thanksgiving marketplace. Both new holiday arrivals will get a jump on the weekend by opening Wednesday. Warner Bros. and New Line Cinema's R rated comedy"Horrible Bosses 2,"directed by Sean Anders ("That's My Boy"), is targeted to young adults and will open at about 3,300 theatres. "HB2" is tracking in double digits and doing best with men over 25 and nearly as well with under-25 males. It's also tracking nicely with under 25 females, but those under-25 females are "M1's" core audience and, not surprisingly, that's their overwhelming first choice film to see. In "HB2," Jason Bateman, Charlie Day and Jason Sudeikis return as Nick, Dale and Kurt, who now want to launch their own business and be their own bosses. After a slick investor interferes, the hopeful entrepreneurs hatch a misguided plot to hold his adult son for ransom to regain control of their company. The franchise's first episode opened July 8, 2011 to $28.3 million and did $117.5 million domestically. It did $92.1 million internationally for a global cume of $209.6 million. DreamWorks Animation and 20th Century Fox's PG rated 3D animated adventure comedy"Penguins of Madagascar"from the creators of "Madagascar"is targeted to families and will open at about 3,600 theatres. Families are a great audience to tap over Thanksgiving weekend since as the days drag on parents need a movie they can take their kids to see just to give them something to do. Family films do particularly well if there's rain or snow over the holiday, limiting the range of what else people can do. 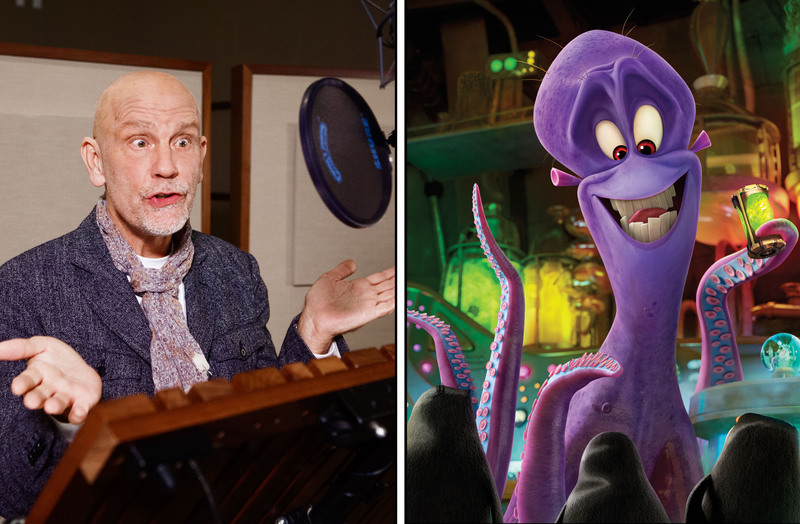 Directed by Eric Darnell (the first three "Madagascar" episodes) & Simon J. Smith ("Bee Movie"), "Penguins" stars the voices of Tom McGrath, Chris Miller and Christopher Knights. The original "Madagascar" opened May 27, 2005 to $47.2 million domestically and did $193.6 million domestically. It grossed $193.6 million internationally and had a worldwide cume of $532.7 million. "Penguins" tells us that super spy teams aren't born, they're hatched. The story reveals the secrets of global espionage's greatest and most hilarious covert birds -- an elite group that teams up with The North Windundercover group to stop the evil Dr. Octavius Brine from destroying the world. Besides these two new wide arrivals and "M1's" second weekend, Thanksgiving moviegoers will also have some holdover hits to choose from. Adults could gravitate to Paramount, Warner Bros. and Legendary Pictures' much PG-13 rated action sci-fi mystery "Interstellar," which will be in its fourth weekend in theatres. Although it's already done nearly $121 million domestically, there's still a large adult audience that hasn't gotten around to seeing it yet, but could do so over the long weekend. Because the film runs nearly three hours, adult moviegoers who are typically pressed for time could put it on their holiday weekend agenda. Directed by Christopher Nolan, director of "Inception" and "The Dark Knight" trilogy, it stars Matthew McConaughey, Anne Hathaway, Jessica Chastain, Bill Irwin, Ellen Burstyn and Michael Caine. It's still tracking in double digits as an overall first choice to see and is doing best with men over 25. Family audiences who still haven't caught up with or want to take a second look at Disney's 3D animated PG rated action comedy "Big Hero 6," which will be in its fourth weekend in theatres, could do so over Thanksgiving. The Walt Disney Animation Studios' film has a high creative pedigree, coming from the team behind "Frozen" and "Wreck-It Ralph. "It's already grossed nearly $136 million domestically. Directed by Don Hall ("Winnie the Pooh") & Chris Williams ("Bolt"), its voice talents include Scott Adsit, Ryan Potter and Daniel Henney. "BH6" is tracking best and equally well with 25-plus females, the moms-with-kids audience that animated features need to attract, under-25 females and over-25 males. Bottom line:With something for everyone on the multiplex buffet, moviegoers should have a Happy Thanksgiving!